Home / Intercultural Center / Intercultural Programs: Reach, Invest, and so much more! Intercultural Programs: Reach, Invest, and so much more! 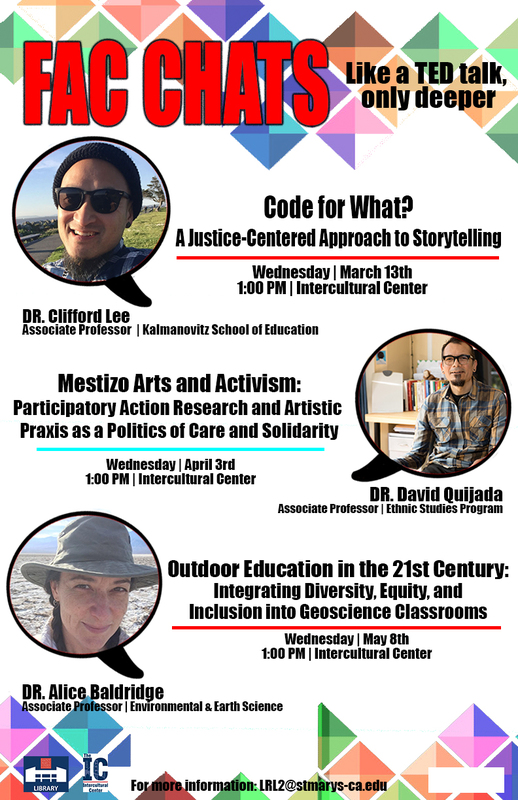 The IC engages in many programs but specifically REACH & Invest which are co-curricular programs that enhance classroom learning and raise awareness about social justice. Reach programs are planned and led by the Student Leaders Initiating Diversity Education (SLIDErs) and feature speakers, artists, films, and other activities that focus around social justice topics. Invest sessions are student led facilitations (by Intercultural Development (ID) Leaders and SLIDErs) that address current hot button issues, social justice awareness, and multiple and intersecting identities. 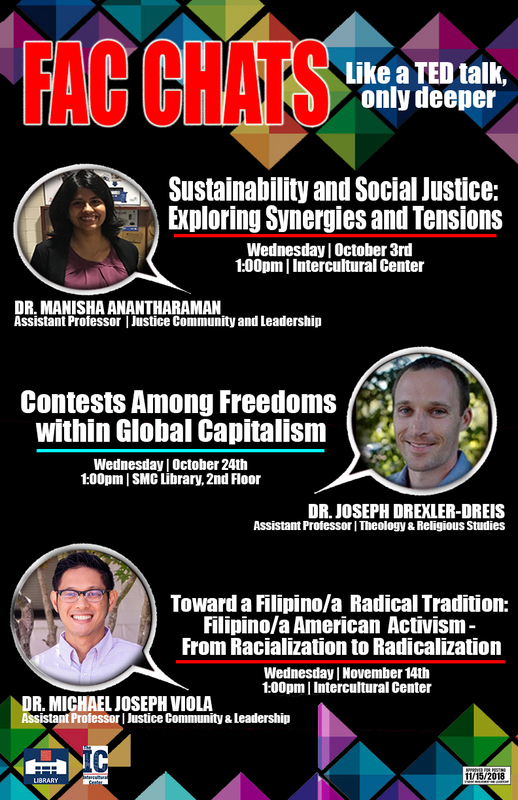 You are invited to our riveting new faculty series Fac Chats, which highlights critical and current research being conducted by SMC faculty. Co-sponsored by the Intercultural Center and the SMC library Fac Chats is designed as a showcase for some of the critical approaches to research that SMC faculty accomplish behind the scenes, and as a forum for faculty, students, and staff from different disciplines to learn together in community and explore ideas that you might not encounter in class. They're sort of like TED Talks, in that they take some pretty complex ideas and present them in an accessible way--but we get the chance to go even deeper, with 30 minutes for the conversation and 15 minutes for Q&A.